Not my own aging. I'm having fun aging, and tinting paper. Most of the paper is vintage to begin with, I just give it extra character. I don't have one way of aging paper. It's like painting to me. I have my own custom mixes I experiment with. A little of this, and a little of that. Aged script on one of my aqua frames. 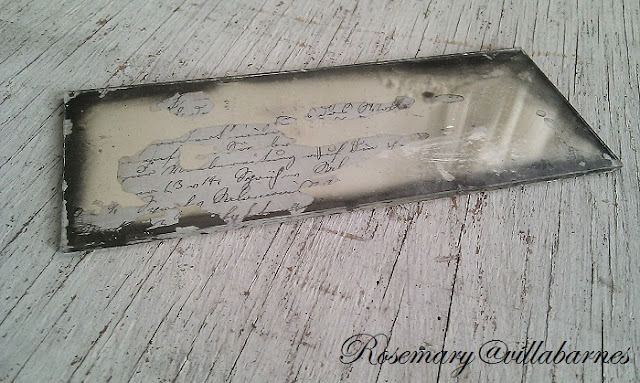 I have a bunch of little vintage mirrors with distressed silvering. I found them in the drawer of an antique box I purchased at an estate sale. They look good with vintage script. This is not one of my wooden books. It's an actual long forgotten book I gave new life with script. The addition of aged French book pages, skeleton key, and my little dried rose buds make a nice bundle. I'm going a little bundle crazy right now. 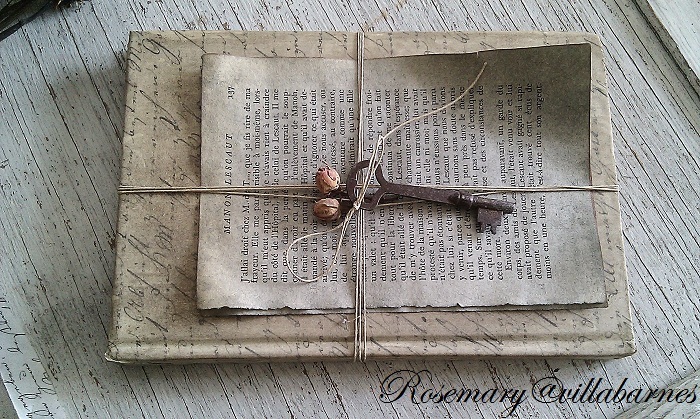 Very pretty, Rosemary! They make such a nice addition to a vignette. I love how it looks on that mirror, too. I ♥ your mad skillz! Love a little bit of aging... on book paper. Not so fussed about my own years escaping me - lol. As always, love your creativity. Pinned. This is gorgeous. I always love to see what you are doing. Very pretty. Beautiful, Rosemary! Those mirrors look like they may have been used for lithography. 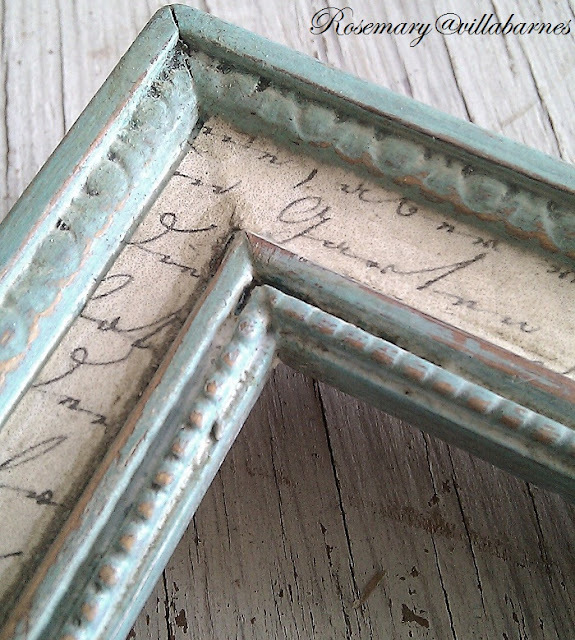 I love the vintage script on the frame...so romantic! I love all those! 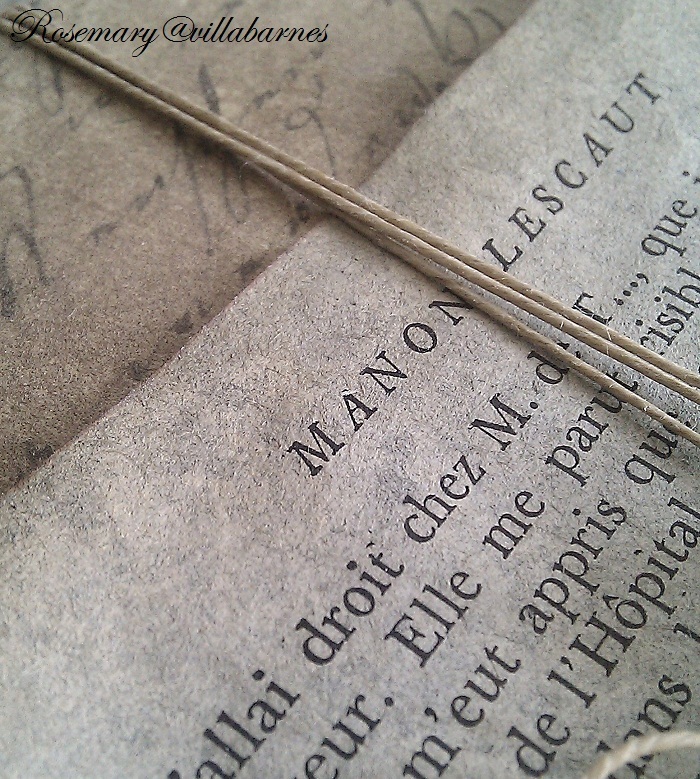 I'm crazy for anything with script anyway....the more French the better! I love your aqua frame with script, so pretty!! So funny! When I was a makeup artist, I labored to make everyone look younger...and now I spend my time making things look older! LOL! I just saw that you were in Romantic Homes! Congratulations! I'm so glad I found your blog! I just love your projects. Your blog posts are so calming and peaceful. Love the idea of the script peeking through the mirrors! 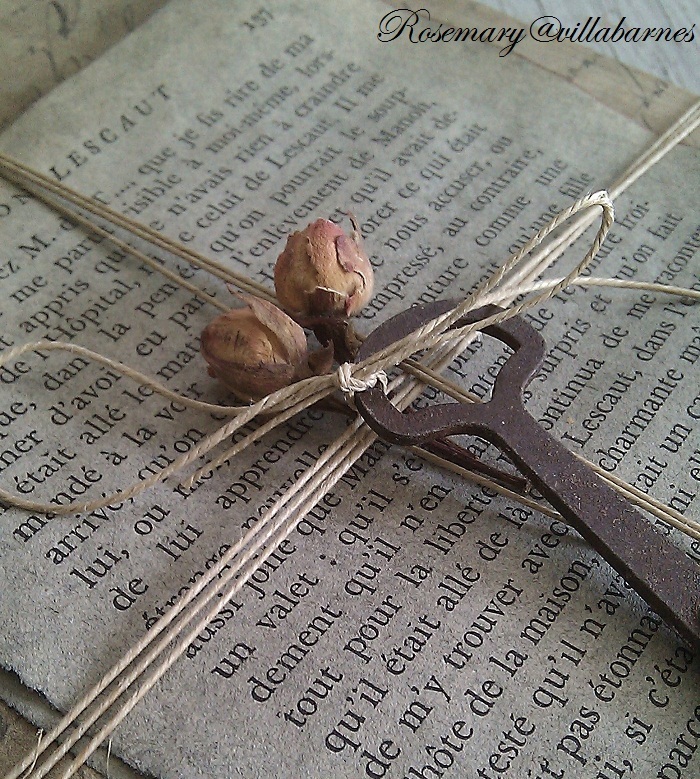 I love these ideas and the idea of aging paper. It gives it such a neat look. Everything you do always looks great Rosemary! I love the frame! LOL - REAL aging is NOT fun but your aging techniques definitely are! They are all so beautiful Rosemary. I love the script on the frame and those mirrors... breathtaking! Well when I read the title to your post..I thought to myself..so glad that Rosemary is having fun with her "aging" because when you are my age..you do not!..But then it is your fun with the aging projects and it shows because all of your projects are beautiful!! Have lots of fun!!! shoot Rosemary, I was hoping that you were going to share ways for all of us little old ladies have a better day! LOVE all your "aged" goodies!! Very sweet! The tinted paper gives the pages a real history. Why is that so pretty to me? 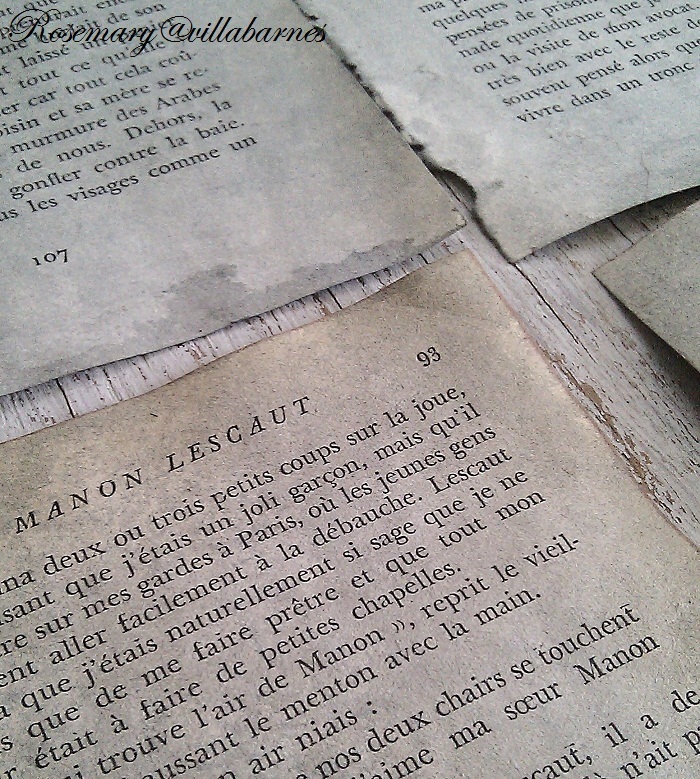 I love the worn and "aged" paper.